You might remember me. We have met a few times in Fort McMurray, most recently when you visited our community shortly after you announced a provincial election. At that time you kindly agreed to sit down with me for a brief interview, and we chatted a bit about your passion and vision for this province, and about why you chose to do the job you do. I listened to you and was impressed with your sincerity and authenticity, and today I would like to speak to you about my passion and vision. You see, Premier, my passion is this community and all the people in this region - and my vision is making this community the best place it can possibly be. We are wonderful in so very many ways, as I think you have seen, but there is one issue that is hurting us, Premier. It is an issue that has been much discussed and too often, at least in our minds, ignored. It is an issue that isn't going away. And it is an issue that demands attention and action. The issue is Highway 63. Today, Friday, April 27th, another horrific accident occurred on the 63, and I am quite certain you heard about it. Six dead at the scene, and three transported to hospital by air ambulance. One died shortly after. As I write this two others continue to fight for their lives. Perhaps you saw the same photo I did on Twitter, Premier, of a vehicle in flames. I had been on the verge of tears since hearing about the accident but the photo caused me to weep. And I wept even more upon learning that when that photo was taken one of the victims was still inside the inferno that had once been a vehicle. It appears that this head-on collision was caused when someone crossed the double solids and attempted to overtake other vehicles and instead struck an oncoming vehicle. I know that twinning Highway 63 won't prevent every single accident - but it would have prevented this one. Seven lives saved, Premier. Maybe "statistically" that doesn't seem significant. I think it's significant to those seven, and their families. And it is significant to every single person who lives in this community. Premier, all of us who live here have travelled on Highway 63. We travel it with our families, our beloved spouses and children. We travel it for work and for play. We travel it because it is our main transportation link with the rest of the province and by extension the rest of the world. It is our connection to everything, and it is, in some ways, our lifeline. And in other ways it is killing us, picking us off one by one in senseless accidents. And the time has come for this to end. As I acknowledge above twinning will not prevent all accidents. Attitudes need to change, Premier, and I am aware of this. There is aggressive driving on Highway 63, and there are issues with the sheer volume of traffic, industrial loads sharing the road with much smaller vehicles. I think the time has come for action, though. The time has come to complete the twinning of Highway 63 because while I know some accidents are caused by idiocy twinning could at least prevent that idiocy from taking lives. But we need to do more, Premier. We need to patrol Highway 63 more aggressively, and we need to ensure that those who abuse their privilege of driving (and it is a privilege, not a right) are held accountable. So, Premier, your government has just been granted a new mandate. We have, in fact, elected two individuals in Fort McMurray who are members of your party and who will sit beside you in the Legislative Assembly. During their campaigns Don Scott and Mike Allen committed to making the safety of Highway 63 a top priority, and I firmly believe they will do so. I also know they cannot achieve this without help, and without the support of your entire government. When you visited the region I was impressed with your understanding of it, and with your acknowledgement of the economic impact our community has on the province, and, to be truthful, our entire country. I was pleased to hear your comments about how this community contributes so much to the fabric of Alberta. And now the time has come, Premier. This is, quite literally, when the rubber hits the road in Fort McMurray. This is when action needs to start, and it needs to start now. There is no more room for excuses in this community, no pointing at weak representation sitting outside the government doors crying for change. We have two community members who sit in your party, and in your government. We are the economic driver for this province, and we have been very, very patient. But our patience has worn thin, and on this day, when 7 people lost their lives, I think our patience has disappeared. You cannot afford to ignore this a moment longer. Premier, if you do not make action on Highway 63 a top priority I can guarantee you will lose the faith and trust of an entire region. And you will lose my faith and trust, two things I do not grant lightly or without thought. Premier, when we met I spoke to you as a writer. Today I speak to you as a resident of Fort McMurray, and as a mother. You see, I have in my house two young women, one 12 and one 14, not much older than your daughter. In fact you met them when you visited, my beautiful, intelligent girls. Today among those seven victims was a young woman as well, one who has now had her brief life snuffed out in a horrific accident. It could have been my daughter, Premier, or my niece. It could have been your daughter, the one who inspires you to do what you do every day. I am not willing to see my children die beside Highway 63 because it has not been twinned. I will not see see them die because it has not been adequately patrolled. And I will not see them die because I did not raise my voice to say "enough". This is my call to action, Premier Redford. I am saying "enough". The people of Fort McMurray demand to see a plan to twin Highway 63. Yes, we've heard about the caribou migration and the other issues - what we have not heard is a concrete plan with completion dates and a timeline. We demand that this highway be better patrolled - and frankly I don't give a damn what it costs to do so. As has been stated again and again we are driving the provincial economy with our oil sands industry - and we are paying for it with our lives on a highway that is inadequate for the traffic it sees. And we are done with that, Premier. We have paid too high a price. Today seven people paid the ultimate price, and the ripple effects of their deaths on their families, their friends, and their community is staggering. Premier, when we chatted last time I was struck by your passion, vision, and drive. I never doubted your sincerity or authenticity, and I saw the fire in your eyes when you spoke about why you do what you, and about the future of this province. I realize you cannot see my eyes, Premier, but I genuinely hope you can feel the passion and drive in my words. I hope you can sense the fire in my heart about my community, and about the people who call this home. I hope you don't doubt my sincerity and authenticity. And I hope you can sense that this issue is so close to me that I am making it a personal cause. I hope you can see my vision of a safer, patrolled, twinned Highway 63. I know it won't happen overnight. I know it will take time to complete. And I know there will still be accidents, and lives lost. But I also know that it will save some lives, and in a cost-benefit analysis the benefit of those lives saved outweighs any cost our province will incur to improve this highway. So, Premier Redford, I am watching. I am waiting. And with me stands an entire region, watching and waiting to see what your government will do to end the carnage on Highway 63. We don't want promises, we want plans. We don't want ideas, we want action. And we don't want to wait. Because every single passing day endangers more lives, and the cost to our community grows. I am no longer patient, Premier. I am no longer content to not know exactly what is going on, or exactly when the highway twinning will be completed. Our region looks to you and your government now, Premier. We look to you to put into action those things you put into words during your campaign, and we look to seeing our literal connection to the world made safer and stronger. We will not wait any longer. The time has come, and it is now. Our province, and our region, granted your party a mandate to lead our province into prosperity and a brighter future. For many years Fort McMurray has provided the prosperity. Today the future of seven people disappeared. They have no bright future. They have no future at all. We have ensured the prosperity, Premier. Now you need to ensure we have a future. The rubber has hit the road. And now it's your move. Wow. I will never ever write anything as good as that. Brilliant. I echo your words Kevin and Theresa well said...Thank you for writing this. Gaston Aucoin in Sydney Mines , Nova Scotia. As a dad of two sons who work in Fort Mac I applaud the letter. Well said indeed Theresa. It is time for action to save lives. I couldn't have said it better ,I soooo agree with this letter .I have also experience, drivers overtaking vehicles when they shouldn't and in the process I had to pull on the shoulder and come to a complete stop to avoid a head on collision,the time has come to take action . Well Said. I no longer drive highway 63, I choose to take the bus so that if by chance there is an accident my chances of survival are higher. I can no longer stomach the fear that takes over me every time I ventured out on that highway. I am a safe driver, but on highway 63 that means nothing. Too many close calls for me. Its time someone steps up to the plate and makes changes before more innocent people die. Alison, I believe the ball is in your court. WOW! you said it all! Well, I have to dissagree. Not all has been said. We have to stand and also say that the lives of humans are worth more than the Caribou that some are hiding behind to stall the project. The Caribou will naturally relocate due to the noise. Why not train them now with the noise of construction to stay away instead of when we have a hiway with vehicles travelling hiway speeds! Enough of the stop work action due to the Caribou and let's get this done. The human factor MUST outweigh the animal factor. With 7,000,000,000 of us on the planet, we ARE outweighing the animal factor. How about we stop acting so arrogant and as if we're so bloody important? Maybe if we smartened up we wouldn't be killing ourselves on the highways and we'd save the Caribou too. You said it all. They haven't made any effort on twinning it seems at all. Maybe 30 kms of trees cleared from house river south Exacly where this accident happened. Time to get it done!! !I was born and raised in fort Mac and I've had dozens of close calls myself on that highway and dread every time myself, family and friends have to travel 63. This is the truth, We have had enough! The economic driver of a nation and we have a goat trail for a highway and I am sick of it!!! Maybe we can do a fundraiser for our govt. 'joke', and a for the 'caribou' enough excuse already!!!! I agree with Ms Wells, how many more lives will be lost before the minstry of transportation will do something with that terrible highway. Well said...Animals should never come before humans...Caribou will move to new locations if too much noise becomes unbearable...Put the people first! Twin that highway immediately...stop wasting our communitie's precious life...Take care of the people and they will take care of you...Stop stalling and making excuses...My family is important too! I have to drive on highway 63, every two weeks to pick up my grand-daughter in Athabasca...and I have seen so many near misses and was almost in a few accidents myself...Twin that highway NOW! This is a truly wonderful heartfelt letter that represents all of Fort McMurray's residents thoughts. As a 38 year resident, I agree with every point you have raised. Thank you for articulating our thoughts in a very honest way. I agree, enough is enough! That highway is dangerous-we provide the oil.... now Premiere, you provide some safety to those who make this province a "have" and not a "have not'. It is time to hold our government directly responsible for the deaths that have occured and that will continue to occur on Highway 63 due to their ignorance and lack of concern for the safety of the people who travel this highway and who are paying their salaries! Twinning that highway will help prevent some of the accidents but also allow for better patrolling of the highway. I think that part of the reason they don't patrol that highway is because it isn't safe. Even the police don't want to pull people over! Where are they going to pull them over to? Many places the shoulder is too narrow and it isn't safe for them to be on the side of the road either. It doesn't help increase safety on the highway if traffic enforcement creates a road hazard. Maybe in the mean time while we wait for the highway to be twinned they can at least create more places where it is safe to pull over? sherrif's or police are not going to stop the guys passing on hills and corners, There is an enormus amount of logging, oil, wideloads and regular traffic. This causes alot of frustration on the highway. if they twinned it from fort mac to wandering river this at least help with the congestion and frustration. This is so true. I cross my fingers everytime a speedster fly's by me and others on the hiway when it is unsafe. I pray that the police will have them pulled over but most times, they are not. I would like to see these people punished by having to serve time responding to horriffic accidents on this hiway to witness the carnage that they may cause one day in the hope that they will realize the future they have waiting for them. I am not against passing or travelling a couple of KLM's per hour faster, but the place to pass is when it's safe and the road marking reflect the sight line. Reason and patience will make it safe for all. If any of all the fatal accidents on 63 since the boom started had caused a disruption in the flow of oil to the South how fast do you believe this problem would of been fixed? Why do we consistently only hold our government accountable? Yes, they are accountable, but why do we not also hold the oil companies accountable? It has been the greed of oil companies and their rapid unfettered expansion that has brought this carnage to our community. Do we not also hold them accountable because we are willing to sell our souls for good paying jobs? Are we fearful to speak out against them because they sign the pay cheques? Let's face it, oil companies lobby the government and make the decisions and set policy. You get big oils attention and make them want to get it done and trust me......it will get dome! Exactly!!! How much money are those companies making??? How many roads of their own do they build and it cost millions...and then millions more to maintian them. This road has this traffic because of them, not the government!!! The Oil companies who are up in Ft Mac should be footing a HUGE portion of the cost just like they would to build their road to their well, their plant, whatever they need to get to their oil and gas!!! Well this road is for that....and they should put money out for it!! How big is each company, how many workers do they have, percent out the portions of the cost like they do road use fees....and get moving on it already!! The stats on how many people have died on that road are horrifying and UNNECESSARY!!! So is the stats on how many have been injured!! Step up Oil companies.....do the lives of your workers and others matter....or are they all replaceable???? This letter has to go straight to the Priminster of our great Country So maybe he has a chance to understand that just because Canada has oil remember where it's coming from oh yeh,we have a one horse road in and out. Wonderfully said! No more excuses! I have one simple question, how many lives will be sacrificed before the highway is twinned? How many is enough? When will the government wake up to the need that makes our community lose ppl every time? Do they matter? Or are we just the milking cow whose demands are not important? I drove that highway today with my 14 year old son and 17 year old daughter. When we heard the news there was complete silence for at least 30 minutes. As a mother, I felt sick inside because I could not assure my children that we would make it home safely. I'm sure the thought went through their heads. We were rerouted to 881, which I can tell you was no treat. There has been too many lives taken from the condition of our highways. It's time to make it a priority and finish whatceas started. Twin 63! come on, they started twinning in 2006??? well what happened over the last 6 years???? did edmonton really need the anthony hendey to bypass the city?????? put the pavement where its needed!!! TWINNING 63!! Thank you, Theresa, for so eloquently putting into words what many of us are feeling tonight. We are all mourning the seven victims, whether or not we knew them personally. Also, you hit the nail on the head with, "Our patience has worn thin, and on this day, when 7 people lost their lives, I think our patience has disappeared." Wonderfully written and echos the sentiments of all of us residents of Fort McMurray!!!! Well done!! I stand behind you!! You hit every point!! Now hopefully they will listen to the people!!! Perfectly put! The wait has to end now. 85 deaths in the past 10 years. Enough is enough. I agree with Theresa Wells..highway 63 has taken so many lives, it is time to do something about it, it was time a long time ago.highway 63 should not be a highway of death. As a life time resident I want to thank you for this Theresa. We as a whole community feel the same, there is truth in every single word in this letter. Premiere Redford indeed the ball is in your court and it is time for action! Enough is enough, no more lost lives, no more excuses, no more procrastination! Makes you ashamed of our governments who are so happy to reap the benefits of oil sand royalties to get them through recessions but have yet to complete 15 kms of the promised twinning of highway 63 in 5 years... They ought to be utterly appalled and ashamed of their management. The promise to twin came after 24 plus deaths in just over 18 months. I guess they think with time we will forget.. Is it going to take more tragedies like this to make them follow through with there promises in a reasonable time? MY heart and thoughts go out to the family's who have again lost a love one on highway 63. Great Job Theresa! We need people like you so that the rest of the province does not forget there is a community of great people who live in this region! People who deserve to feel safe driving down highway 63. There have been many conversations in my house hold around whether to fly or drive simply because the highway can be a scary place to be! Thank you for writing this letter, you did us proud! 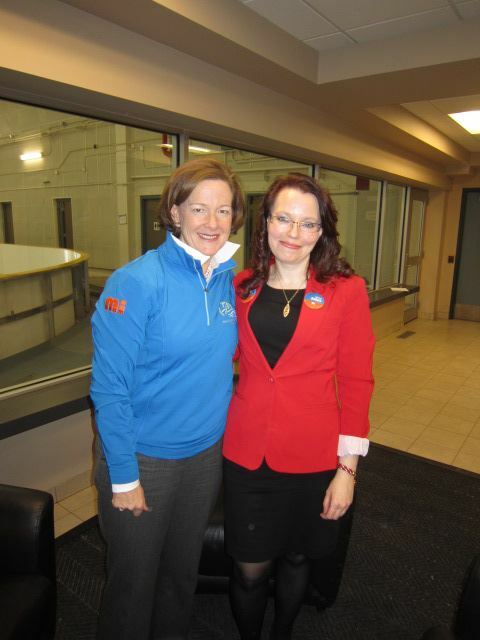 Premier Redford, Fort McMurray is the economic engine of Alberta, we should have the best of well everything. Is it to much to ask for a twinned highway? Where else in Canada is there as much traffic on a daily basis as Highway 63? We voted you in please don't make us wish we never! It is time for the Gov't to listen to the people who trust in their promises and put them into their powerful positions. I hope that unlike some other tragedies that happen, after a couple of weeks it all goes into another pile for the Gov't. But remember it never goes away from the people who lost loved ones! AS a former 5 year resident of Fort McMurray, no one could say it any better than this letter. The highway is a deathtrap during high traffic times,and that accident is proof of that. Everyone is in a hurry to try and shorten travel time, most to get to town for work. Heavy load bearing transports shorten patience with most travelers, and some dare to pass across double lines. I've seen it, many,many times! I'm happy to be living and working elsewhere, not having to travel it anymore. Friends and family still travel it and i fear for their safety every time. Lets hope and pray this plea brings results long sought after. Our family has really fell in love with Fort McMurray, but when it comes to traveling 63, in a short 3 years, twice I have had to go off the road to avoid being hit by a truck trying to pass at the wrong time! I had both my children in the truck at the time! Going to tournments in Edmonton! This highway has to be finished! It isn't fair to all that we do for this country, that we cannot safely travel to do other normal events that are not available in Fort McMurray! Love it here, but my cargo is too precious for 63! You need to fix this! Now!!!!! Not five years from now and countless innocent lives lost! My husband and I, along with our precious cargo (3 daughters) travelled this road on November 13, 2011 and passed a fatal accident like this one minutes after it had happened. It scared us off traveling south for months. So sad. It's time to get the job done! Thank you for the wise and well written letter Theresa. I read with tears in my eyes as my husband (a local pastor) and I prepare to help the grieving, the angry, the confused, and everyone else affected but this tragedy tomorrow. As names become known, I pray our mourning cries will hit the Premier's ears hard and she will act decisively and fast to get that Hwy twinned NOW. Brenda, your comment made me cry. I can't even imagine what you must feel when you help these families. Thank you for the work you do in our community, Brenda, and your husband, too. Let's fill up our premier's inbox (Premier@gov.ab.ca)demanding the twinning of 63 completed at a faster pace!!! 16kms in 6 years isn't good enough!!! How many deaths will it take??? Just send this thread.....enough said! Maybe the gov officials who visit McMurray should have to drive up everytime they come instead of flying. Maybe feeling the stress and worry we all feel everytime we or a family member travels that highway will hurry them along with the twinning. It is a horrifying feeling to sit and think of a list of everyone you know that is travelling when you hear that there was yet another accident. Well put. Its not just the six lives lost in this accident, but the daily occurance of lives lost and you couldnt have wrote this better. I hope we can finally get this done. Very well said!!!! I have driven 63 for many years, and have had people pass me on the shoulder, very scary. I have also been traveling the speed limit and had people fly by me like I was standing still. A lot has to do with drivers, but it would be nice not to have to worry about someone hitting me head on! The Transportation Budget Plan for 2012-2015 has no specific mention of Highway 63. I think she should ''drive'' from edmonton a few times and feel the FEAR of having to use a single lane highway with that many vehicles on it! Ahh nice to hear such great words from a fellow Wells. Highway 63 should hold a strict penalty of loss of licence for speeding as well. I have lived in Fort McMurray for over 44 years and seen many changes. I am happy to see the twinning started but would love to see a RUSH put on it as we have way more vehicles travel both ways over and over this highway than many if any other in Canada Day and Night. This letter is well written and I weep each time we lose another life on this highway, & over the years many than I have known. I realize it is at times caused by drivers who take risks that endanger others but a divided highway would just help so so much overall. Concerned long time resident wondering why things cannot get accomplished BEFORE we lose more lives. We pay our taxes ... We pay our GST ... all those business's and family's traveling this highway pay their taxes, etc.... So please help all of us! My sincerest condolences go out to the families of those who have lost loved ones today. You are in my thoughts and prayers. I support the contents of this well written letter 100%. The highway definitely needs to be twinned but, we also have to be accountable as drivers. In the big scheme of things, is it really worth it by trying to get to our destination that much quicker by speeding and/or unsafe driving? I must confess that I am guilty of speeding on highway 63 just to make good time. It is very sobering thing to think that my actions may cause the loss of a precious life, or even my own. I believe that the combined effort of both the twinning of the highway and safe driving will definitely cause a decrease in fatalities/injuries. I voted for your party Premier Redford. Please hear our cry to see that this necessary project gets completed sooner rather than later. Theresa, You are such an amazing and wonderful writer. Your words have put drive in my heart before now, but even more so today. It is time for Fort McMurray to get the gateway road it needs and deserves. Incredible! I believe you speak for all of us. Thank you! Something needs to be done. I was born and raised in fort mcmurray I since moved away. A friend of mine was hit with her child on hiway 63 and have lost friends. Though sheand her daughter survived how many more people have to die and needless and somewhat preventable death? That sums it up. As an emergency worker in this community I would prefer to not have to clean up the mess on hwy 63 after a horrible incident like this. 4 men I work with attended that call today. I am glad I was not one of them! I shudder to think of the visions they will see when they close their eyes to go to bed tonight!!! But aggressive driving must stop. That is the main killer in today's accident, someone who simply could not wait the extra 5 minutes! We need to fix this problem now!!! As for the caribou, I have never seen one on or near hwy 63. The environmentalists claim that is a migration route, well it is a human migration route as well and we lost 7 today. Time to get the job done. Make it a priority. Do it now. This year. A huge part of Canada's prosperity is due to the Fort McMurray area. Give back a small portion of the royalties that the province will pocket this year and do the right thing. How many lives could have been saved over the past few years if this work was done five years ago? How many more people will die before you get this done? You have the power to get this done, if you don't get it done and more people die do you think you are not guilty of a crime? We are not asking for your blood, just a month's worth of royalties from the oil sands. We can't be quiet about this..Its up to Us the residents of Fort McMurray..One life a week feels bad, we all stop and think for one second..7 lives in one day makes US mad!!! ENOUGH! !..Do something or i will never..ever vote for you again!!! Well said its time someone step up to the plate and take responsibility of this and try and put a end to all the lives being lost on that highway. I hate the thought of having to travel it myself with my family. It's pretty sad that we live I'm a community where there's millions of dollars being made and we can't feel safe travelli g on our only highway out of town. Premier Redford should scrap the oil sands research group and funding election of promise and focus on Hwy 63. Industry doesn't need it, they spend much more on R & D and get results better and faster than any government run facility. I will never..ever again VOTE for any of you if you fly to Fort McMurray, take a chance like I do, when i need to make it to a medical appointment, drive here..if you make it, yay..you made it..if you don't..well..so sad , you took highway 63! Premier Redford, what if this was your family tonight? How hard would you fight? I know the people affected today and I want you to fight just as hard for these people. The hiway must be upgraded as a priority. More traffic enforcement with stronger penalties. There are so many fools on that hiway who have no respect for the lives of others. The speed limits are not adhered to and the solid centre line means nothing to them. Driving on the wrong side of a solid line is attempted murder and should be punishable as such. The penalty for Driving 20 km/hr over the speed limit should be the confiscation of the perpetrator s vehicle and the suspension of their license. What right should that idiot have to put others at such risk? Thank you. I hope they listen. all agreed to the comments above. You know what i think maybe they will twin the highway after one of their blood relative/s dies on that highway too. Beautifully written. I agree with every word. It is time for this government to take action before more lives are destroyed! Time for the Twin Road long overdue!!! In my short time on this earth many people I have been acquainted with have passed on. By far the most common cause of death - Highway 63. 5 people. Five. More than cancer, more than heart attack and stroke. Thank you for writing this ma'am and I would encourage all who read to contact your MLA's. Make this issue as loud as you can. Do not let this go silent!! 5 years ago,4 yrs. ago or every year, a tragedy and horrific accidents happen in Highway 63. Why from that time government didn`t make any actions about the highway? They have to make it as their top priority because the highway is the main road going to other places..And people on the government even before knew already the problem of this highway.. And they knew that people from around the world are coming and going in this Highway,so,they must prioritize on how to properly fix the Highway.. Maybe you guys are waiting that one of the member of your own family,relatives,or friends be in accident before you make an action to this? We are behind you 100 percent and as you can see so is everyone else in this community. I agree enough broken promises by this province its time to act now. We will not tolerate it any longer. I don't even live in fort McMurray and have only visited twice but one of the victims still fighting for his life is my cousin and close friend. This highway is terrible at the best of times. No one should have to face the same fate as these 7 people did today. A family of 4 wiped out to 1 survivor and a husband fighting for his life who lost his wife and unborn child. I know nothing can be done to bring these people back but maybe changes made will stop it from happening to others. I am so very, very sorry. I don't even have the words to express my sorrow over the losses or the fight your cousin is facing. My condolences to your family and my very, very best wishes to your cousin. So some idiot crossed a double solid, blame the govt. NICE! Please note I do not blame the government, Anonymous. I simply believe that action on this will save lives and that the action needs to come now. We are going to experience exponential population growth in the next decade - how many lives are we willing to lose on an inadequate highway? I agree driving attitudes need to change - but twinning the highway will save lives. And that matters. Highway 63 needs to be twinned...it's alberta's umbiical cord to prosperity! Thank you for saying out loud exactly what everyone in our town was thinking on this very very sad day. I have lived in this town for just over 30 years, I personally know the complete devastation of a phone call saying that family members have been involved in an accident on 63 and, one is being transported via helicopter and two more transported by ambulance.I just want to vent because this makes me sick to my stomach that this bull has been going on for years. My heart and prayers go out to the families. Tired of all the government excuses. Moved out of the mac.. only go to visit once in a while and pray every time I travel. don't go on thursday, friday and sunday..lol. any day is dangerous with those loads..southern alberta highways are great. but the northern ones are forgotten about. they don't care about 63 as long as the money keeps coming in. wonder what excuse they will come up with next. I thought gas tax was supposed to go toward roads? How many lives have to be lost before any action is taken? Let's see, lots of money for government pockets, none for improving roads. Makes sense to me. If theres anything Id happily see my tax dollars put towards it will be this. Its not like we have another choice for driving. One person makes a bad choice and now 4 of my friends are dead. How many more must lose their precious lives before something is done?! I too agree. It seems like an impossible dream to see our highway twinned, yet with the money flowing out of our region - its hard to imagine why not. When will this finally become a priority??? How many more deaths is there a majic number what is it going to take. The people that devote 14 hour days to the oil industry are making the Alberta Govt filthy rich,not only Alberta all of Canada. Those same people spend more time at work than home.Where is our payback death. We need the upper brass in the oil industry to start pushing hard for their people and our Political reps to hammer relentlessly to fix this problem. Promises..Promises well what happened today is far from promising Alison Redford we put you in the driver's seat so take the wheel and steer it with a vengence the time is now. The blood of many people is on the hands of this PC gov. Rhetoric has been the only answer from the 40 year old gov so far and I doubt that rhetoric is all we'll hear from this lawyer now. But we cannot escape the reality of, who pays for it? Natural gas prices are at decade lows (along with royalties), land sales are down and it takes years for an oil sands project to begin paying out the royalties that are needed to fund the infrastructure (even though the demand for infrastructure emerges as soon a project breaks ground). Is there support for changes to the oil sands royalty mechanism, a provincial sales tax, increased income tax or more borrowing (and debt), to fund infrastructure development throughout the province? The pro-cyclical nature of the Alberta economy will continue to make it difficult to keep pace with growth, unless there are some fairly significant changes in how the province operates. I so agree. We have all lost so many of our loved ones on this highway of death. How many lives will it finally cost to make it safe? at that part of the hiway seems to have taken a few lives. do the dam highway. highway of tears. "Highway of Tears", sounds like a good name for 63! As a commuter to Fort McMurray over the last few years, I've had my share of close calls, due to the negligence of other drivers. Yes, I choose to commute. Yes, I choose to drive...why? I ask myself that quite often. Maybe a ridiculous plane fair would be worth paying for than risking my life. But honestly, I was born and raised in this province. Paid my taxes to fund these roads I drive on. The provincial government is a joke. I'm a die hard conservative, but they are all poltitcians with an agenda. They all need to take a roadtrip, not on a private jet, and experience the highway for themselves. I also need to question the integrity of the politicians in Fort Mac as well.....not sure they've been loud enough!!! Too long waiting for the twinning,for the love of god get it done! we worry enough when we HAVE to travel!!! We All hurt when we hear of our children killed on highway 63....soooo Angry right now!!! In support of Theresa Wells and Wood Buffalo community At-large. "Whoever kills one life it is as though he/she has killed all mankind and whoever saves one life it is as though he/she has saved all mankind". The verse emphasizes on the great importance of saving and helping people in need, saving people can take different forms , and the verse is a great waring to killing even one soul . Muslim resident of Fort McMurray born and raised. Well said , now its about time that our goverment sat up and took notice. Every life is presious !!! How many more lives will be taken before something is done about it. Every manufacturer, every trucking company, every oil company, evry supplier to Ft Mac the Federal and Provinical Governments (which is every Tax payer) who has profited by the natural resourses of Northern Alberta needs to belly up to the bar and commit the funds to this twinning of 63. It is our responcibility to the residence of Northern Alberta, and to the people who have paid for our goverments lack of action with their lives. Buck up Allison, buck up Steve. thank you is all i can say. its worth a try to expedite what is inevitable. As I sit here reading this and I am from the East Coast of Canada but I have driven this Highway 63 and I picked my times very carefully when to be on it driving. One should not have to do that. One should be able to drive on a main highway from one Major town to another without having to guess when the heavy loads are coming into or out of Fort McMurray, when the employees of Suncor, Syncrude, etc are off work and heading to Edmonton or vice versa heading back to Fort Mc to work. This highway is dangerous and it does deserve the financial support to twin it as it is a major highway in the generation of past, present and future $$$$$$$$ for the province of Alberta. I applaude you for taking a stand and for asking for support for the hard working residents, employees and future employees, residents of Fort McMurray and its surrounding businesses. May the wisdom of the words in this letter bring action by your newly elected Alberta Government and its new Premier. Standing and applauding your letter with tears in my eyes. Thank you Theresa. Well said! All the work in Fort McMuurray, the highway should be priority to protect all the commutors, all the residence that travel that highway and families that travel to Fort McMurray for visits. When you go on a highway, your family and friends should not have to worry about your travels the way highway 63 worries everyone. The government of the day has been in power for 40 years. I lived in Fort McMurry 30 years ago and can remember all the same promises being made to up grade route 63. It breaks my heart to think of all the lives lost over 30 years. Time to walk the walk, no more talk!!!!! Why is everyone blaming the highway? Yes it does need to be twinned because of the high traffic volume but it has been driver error that has caused most of these accidents. Please note I don't think anyone is blaming the highway. In fact I have written previously about changing driving attitudes. The reality is that a twinned highway would have prevented the loss of seven people yesterday. That isn't "blaming the highway", it's acknowledging that we need to not only change attitudes and behaviour we also need to make the highway itself safer through twinning. If your loved one was killed... would you accept that it could have been avoided by something that clearly should be done. And is done in places with no where near the traffic that highway sees. For all the money the government seems to WASTE I'm very sure the twinning of Highway 63 could have been already paid for. NO MORE EXCUSES!!! As a Fort McMurray resident I completely agree with the sentiments in this article. I always sigh with relief on completing the drive to or from Edmonton without incident. This is especially true in the winter months when road conditions can quickly become treacherous. Twinning the road will not eliminate the weather conditions but will save lives by reducing the potential for tragic head-on collisions. - Increased support and resources for emergency departments in small towns such as Boyle which are overwhelmed by the continuing carnage. - An accelerated schedule to complete twinning of the highway and resources to make it happen. We will be watching and waiting to see this happen. I agree, this highway should of been twinned long ago. I drove that highway many times, seen to many accidents. Thank GOD i don't have to drive 63 anymore. Retire back in NL. What a very accurate and valid letter explaining the facts, situation and expectation for change. I am of the opinion that the twinning is not as much of the problem as is the risk taking that occurs in every single incident that has taken a life on Hwy 63. If the road was gravel, people would still have to drive to the conditions and follow at safe distances and obey the posted limits. The risk taking is a lack of respect for the lives of others, short cutting the rules and responsibilities of the road. If the driver yesterday who made the wrong choice at that moment to break the law endangering the lives of everyone and subsequently taking the lives of almost all involved- had a different attitude about driving, risk taking, respect for the law, and respect for life.. there likely would have been a different outcome today. So twinning isn't the answer, its people who need to own up to how they drive and respect what ever road they have to drive on... and until that actually happens, senseless deaths will continue to mark that stretch of road. I was born and raised in Fort McMurray and have grown up listening to horror stories and sending condolensces to the families of friends and acquaintances killed on this highway... My brother is a firefighter/EMT in town and is in constant sorrow and disbelief over what he has to see on that highway. I return home once a year for christmas- and I take the greyhound or red arrow refusing to drive on the highway of death because i know all too well... How long until one of these busses get run off the road and twenty-some lives are lost at once- will it be enough then? Politicians seem to use twinning/improving this road as leverage for their election platforms yet somehow we are at the same stage we were over twenty years ago, well enough is enough. Talk is cheap, infrastructure isn't. We come from a region that single-handedly funds approximately 1/3 of an entire country. The resources, the money, it's all there. The time is now. Thanks for this. It articulated, what i believe is all of out thoughts. Very well done. This place has been making oil for decades. It is an embarrassment to Alberta and the Oil sands. Theresa not just a well written letter, but also, a piece with tremendous conviction and purpose. I truly hope that when #ableg reads this letter, and the concerns of the community as a whole start to resonate, that we will see rapid change, like we deserve. I'm fed up with the emergency calls coming in on highway 63, and the ripple effects of these calls on our community. The fact that the province has HWY2 divided up to, and now even PAST Granum Alberta says a lot about where the priorities are. We have divided highways all over the province in areas where they probably aren't needed. And the place you need it the most is the place that gets rejected for wanting one. I was born in Fort McMurray back in the 70's and watched the town grow up until I left in 2004 for good. I refuse to drive 63 anymore. The thought of driving opposing lane traffic for 4+ hours is not an appealing one. A very well written letter Theresa! I hope Premier Redford and our newly elected MLAs, Mike Allen and Don Scott, make twinning Hwy. 63 a No. 1 priority. I too applaud you for writing this letter. It truly comes from the heart and as a Mom living in Nova Scotia with a son working in Fort Mac with a wife and young family living elsewhere in Alberta it is a grave concern with this Highway 63..Please heed the words of the people who have taken time to express their concerns. God Bless those families with having to deal with the greatest of losses and protect those ones still having to use that road!!! I lived in Forth McMurray for 12 years. When I left in July of 2011, my greatest fear was being killed on the road. I wasn't concerned about my driving it was the other person that concerned me the most. Until the highway is twinned, tragedies like this will continue to occur. Very well written, now lets hope someone listens! I have lived in this community for almost 7 years and since the day I have lived here, I have heard about the twinning of HWY 63! Wow 7 years later and barely anything done,unbelievable! How many lives will it take before government takes notice! Take the funds from somewhere else if need be but just get it done, ENOUGH ALREADY! Thank you so much for writing this amazing personal letter, but you really have been able to capture it on behalf of many other people! I am a family member who lost a loved one to this highway shortly before the move forward to start twinning. It disgusts me that it's taken 6 years to only get approximately 19 km of it done. Year after year I only make 1-2 trips to visit my extended family up there because I dread the drive. I hate passing all the places that people have lost their lives due lack of respect to one another as drivers, wildlife, frustration as a driver and the biggest component of it all...lack of space to safely pass one another on an EXTREMELY busy highway!!!! I am formally from Fort McMurray, grew up driving that highway and still have family that commute and drive the highway to see friends/family, and every time they go up or down highway 63 my heart sinks until I know they are safe!! I realize it is the drivers who make this highway more dangerous but it is only because Sooo many people travel 1 primary highway to get "in or out". I have experienced the semi passing semi, 4-5 vehicles passing at once to get ahead of congestion and I have sat there as a driver getting frustrated in that congestion. Twinning would help this tremendously, BUT we need to see the sheriffs and RCMP out there more!!! It makes me sick that on a long weekend you'll find the patrol on the highway but not many other times! And that's from 12 years of driving the highway!! Blows my mind that we can have traffic stops in other cities pulling 8 vehicles over for minor infractions but we can't get minimum 4 consistent patrol cars on the highway at all times!! That respresntation would allow more structured behaviours on that highway!! I am so sorry to the families that lost their family member and friends yesterday, that's a pain that will never stop hurting! It's time for Alberta residence to push the government and the Oil Sands to make the change happen now and not 19 km more over another 6 years!!! Thank you Theresa for your words of conviction and compassion in addressing this latest tragedy. Every time word an accident is heard the STRESS, concern, fear and then anger, IS it family, friends, mom, dad, a sibling? Phone calls to assure it's not one close, texts to let we have safely made it in or out. WE CAN DEMAND (to late for all those who are gone to early) and IT IS NOW TIME TO PUSH-PUSH-PUSH, wake up those are holding us hostage, whoever has filed against crossing traplines, animal crossings, resource holdings, time to expropriate these acres!!! Human life far exceeds ALL other concerns!!! ARE YOU LISTENING PRIME MINISTER - PREMIER, MP - BRIAN JEAN, DON SCOTT AND MIKE ALLEN, WB COUNCIL, and others who want profit over people. Tears still flowing. TO START INSTANTLY THOUGH LETS HAVE MORE TRAFFIC CONTROL - SPEED MONITORS - CALL CENTRE TO REPORT DRIVERS N and S! Only way to address this is report Impaired, careless, speeders, on suicide runs and more road reports and media coverage. OPTOMISICALLY "May we never have to address these issues again - only monitor the progress of committments of all concerned" you think??!!?? I lived in Fort McMurray for 12 years. I moved away in July 2012. My greatest fear was always driving to and from work and home to B.C. I flew back and forth and only drove as a last resort. The highway needs to be twinned as there are too many people that don't understand the laws of the highway. The attitude " It will not happen to me " is far to common. My heart goes out to the survivors . May the lord have mercy on their soles. Do whatever it takes to save lives ! Again Theresa, you have a way with words. Thanks for writing this. Sending love to the families and to the emergency personnel who are dealing with this terrible tragedy. Very well written letter! Thank you Theresa! We are tired of excuses & delays. It is time for this highway to be twinned.This region is the ecomonic engine of this province & we continue to be ignored time & again. Two example are the highway & long term care. It is now time for Premier Redford to put the money where her move was duringthe election campaign! As a previous resident of Fort McMurray and one of many, many Canadians with family in The Mac I applaud your spirit. Your letter moved me to tears because I too feel my heart stop when I hear about an accident on Highway 63; I stop and wonder if anyone in my family, any one of the many people I know could be heading in or out of Fort Mac. And there are a lot of them. I am a more rebellious spirit, perhaps. Frankly, I think people need to be "active" on this issue as well. Now this is just an off the cuff idea, but what if hundreds of us just sort of got together with our picket signs, parked our cars at the entrance to Hwy63 and the exit to Fort Mac and didn't let anyone pass? No other way in, no other way out. I think they'd get the idea...FAST. Peacefully but firm. It's time for all of us to speak out or take action...I agree...enough is enough. It broke my heart to hear the news of this latest accident. My husband and I lived in Fort McMurray for 5 yrs and had to travel that Hwy in & out the entire time. We left in 2005 and the twinning was supposed to begin the following year..... What happened???? How many more people need to lose their lives before our gov't wakes up??? Thank you for a very well written letter Theresa. After being a resident for some 20 years and travelling highway 63 every weekend for 15 years we know have seen many different issues at would cause accidents on that highways. Twinning would solve many of the potentials for deaths. The fact is that the government has dropped the ball in the city of Ft. McMurray regarding support for the infer structure over the past many, many years. Also added policing would reduce the speeding and drinking that is part of the departing culture. Great storie of your view Theresa. will our mp brian jean make a statement? the feds have money to give to other countries. some good, some bad. the tarsands are the piggy bank for the poor provinces. lets take care of our needs NOW. NOW, AND FOREVER. HOW MANY MORE LIVES WILL IT TAKE. HOW MANY HAVE WE LOST SINCE 1973. ALL OF CANADA IS IN SHOCK. THEY ARE WONDERING, IS IT SOMEONE THEY KNOW. IT'S A SHAME. MY PRAYERS FOR THE ONE WHO TRAVEL 63. As a former resident of Fort McMurray, for 32 years, I am so glad not to have to drive that highway anymore. Every time that we would get on the road, I said a prayer to God to give us safe passage to our destination. It has been way too long for the twinning of the highway, as for the caribou migration, we never saw ONE in all the years that we were on that highway. We would never drive 63 after dark, also picking and choosing the times we would travel. There are so many dips in the road that when you thought you had clear road, all of sudden there was a vehicle coming at you. Can't blame the highway, but the drivers who constantly take chances so that they get somewhere a few minutes faster. Also, the drivers that get off a night shift and get directly on the road when they are tired and not as attentive, and for goodness sake, those of you that are on the damned cell phones talking and texting.....pull over if there is something so important that it can't wait for a few hours. As someone who has traveled highway 63, I can say without a doubt that every time I had to get onto that stretch of road, I prayed for the safety of everyone in my vehicle. I am terrified driving on 63. I have had my windshield shattered by debris from oncoming traffic, been passed by speeding idiots when oncoming traffic was far to close making me brake and pull over to the side. My suggestion is that every parliament member take a drive on highway 63, spend your day on that road, travel it and if you then don't see the necessity to twinning that road travel it on Friday evening or Sunday evening when it is at it's most terrifying! FINISH TWINNING HIGHWAY 63 I want to keep my family !! Every resident of fort McMurray needs to e,ail this to the premier, along with the demand for more policing on the highway to catch those morons who think 63 is a racetrack where they can speed and traffic laws don't apply. These people are risking everyone's chance of arriving safe so they can arrive 20 minutes early. Unfortunately it takes tragedies like this when some people don't ever make it home to get people talking. Twin the road and patrol it to stop murders behind the wheel. Thank You Theresa for speaking for every person I know in Fort McMurray. I myself had travelled 63 the day prior to this horrendous event. I witnessed many cases where a head on could have occured, people are so impatient and in such a hurry....to go where? to the next stretch where there will be many more rigs and a long line behind them? It was sad to drive alongside a several kilometer section where the twinned road appears to be ready for pavement and then safer movement for our citizens. Why is this not being worked on??? Six years is far tooooooo looooong for only 16 kilometers to be complete....let's GET ON WITH IT and SAVE LIVES. To all the people that feel they MUST put the rest of us in danger by CRAZY driving and excessive speed, SLOW DOWN...it could be you next!!! Wow!!!!!! Well said. I live in Sherwood Park, and have been on Highway 63 a total of maybe 20 times, and I have to say that was way too many times, It is very dangerous, and over the 20 years of travelling I have heard it will be twinned in the next 5 years, and 20 years later still nothing... I have recently travelled to Moncton to Edmunston N.B. and the trans canada is twinned and fenced and has about 1% of the traffic that highway 63 has, what a shame, that a poor province can fence and twin a highway and rich Alberta cannot.The fence is used to save humans from the danagerous travelling animals from contacting vehicles, so no reason Highway 63 cannot have the same benefits. Action has to be taken now!!!!! SO SAD THAT THIS HAS HAPPENED AGAIN.WELL SPOKEN.HOPE THE GOVERNMENT LISTENS,BUT ALSO THE NUT BARS IN TOWN WITH THERE HUGH TRUCKS AND HEADS TO FIT THEIR PAY CHECKS,MUST GET THE MESSAGE,AS WELL.MY EXPERIENCE WITH FORT MC.IS THE DRIVERS DON`T FOLLOW THE RULES OF THE ROAD,IN OR OUT OF TOWN.IT`S ATTITUDE,THE WILD WEST MENTALITY.I`VE SEEN IT ON THE ROADS AND ON THE PLANE.TRAGIC THAT SO MANY LIVES ARE TAKEN EACH YEAR.AGREE THAT THE HIGHWAY IS A DEATH TRAP.PLEASE REMEMBER HIGHWAY 401 IN TORONTO HAS 12 LANES EACH WAY AND STILL HAVE THEIR SHARE OF DUNDERHEADS DRIVING IT DAILY.HOPE YOU GET YOUR HIGHWAY IMPROVED AND THE ATTITUDE CHANGES IN ORDER TO STOP THE CARNAGE AND LOSS OF SO MANY PRECIOUS LIVES.1 IS FAR TOO MANY,7 IS A TRAVESTY.POLICE...SMARTEN UP THE DRIVERS,NOT JUST ISSUING SPEEDING TICKET BUT ALL INFRACTIONS.PRAYERS GOING OUT TO THE FAMILIES AND ALL FORT MCMURRAY RESIDENTS.I HEAR OUR FAMILY TALKING ABOUT THE DRIVERS ALL THE TIME AND I`VE EXPERIENCED IT FIRST HAND.POLITICAL TALK IS CHEAP...TIME FOR ACTION,SAD THING IS THE ANSWER FROM POLITICIANS IS"WE MUST EDUCATE THE PUBLIC"...RIGHT,THE PUBLIC HAS THE KNOWLEDGE,OR WHY THE TESTING?WE NEED SERIOUS ENFORCEMENT AND BETTER ROADS...JUST A PERSPECTIVE FROM AN OUTSIDER...GOOD LUCK FOLKS,GOD KEEP YOU SAFE ON YOUR TRAVELS. I have been a resident of Fort McMurray for over 25 years and my heart is aching for those poor souls lost in yesterday's terrible, preventable accident....or should it really be called an "accident"? And, I think back on ALL of the "accidents" over the last 25 years which have claimed family, friends and acquaintances! I lived in Ontario for a couple of years and travelled the 401....the busiest highway in the country at that time, and NEVER did I feel unsafe even though the traffic was horrendous at times! Hwy 63 is a "death trap", waiting to claim more of our loved ones. And the sad part is, ANY "accident" is preventable if we ALL had care and concern for our fellow travellers! People need to "slow the f**k down....what does an extra 5 or 10 minutes give you, in the long run? It certainly didn't give those VICTIMS anything, did it?? THINK ABOUT IT PEOPLE!!! First & foremost....PLEASE SLOW DOWN, DRIVERS!! YOU WILL GET WHERE YOU ARE GOING, HWY 63 GOES IN ONLY ONE DIRECTION AFTERALL!!!!!!!! Secondly....enough with the procrastination, ELECTED OFFICIALS!!!!!! Twin the GD highway!! There's been enough time, over the last 25 years to complete a highway from BC to NL, FOR CHRIST's SAKE and DON't DARE say that there isn't enough money or I will really puke!! How much money has been spent on "the Anthony Henday" over the last 2-3 years?? Like someone's earlier comment...get the Oilsands groups to contribute a couple of month's worth of their profits, take the $55,000 in taxes that my husband paid last year alone along with the profits made at The casinos in this province, in a day, and you would have, AT THE VERY LEAST, the stretch of highway between Mariana Lakes & Wandering River twinned!! And, lastly....there is enough money to build parks and, entertainment and recreational sites but what good will they be to us if we are not around to use and enjoy them....because we are DEAD!!!!!! EVERYONE MUST DO THEIR PART TO KEEP OURSELVES AND OUR FELLOW TRAVELLERS/COMMUTERS SAFE!!! Thank you and my condolences go out to not only the families who lost their loved ones yesterday but those who have lost someone on this RIDICULOUS EXCUSE FOR A HIGHWAY in the last 25 years or so!!!! It's amazing and truly wonderful how everyone is voicing their concerns. My family started in FortMcmurray in 1926 with my Pappa Roy Hawkins Retired FIre Chief of the Hawkins No 1 Fire Hall. He was always a believer and a advocate of safety first. He always believed that highway 63 should have been twinned from the start. We must not only protect our families and friends who drive that death trap, but to also protect those that die protecting and saving us everyday. They are also greatly affected whether it is seeing the devastating crash and or treating those badly hurt or even those who pass away. They need protection as well. I would feel safer driving that highway knowing the RCMP, Paramedics and FireFighters are also being protected. We need the twinning to save us all. Our deepest condolences go out to all those affected. Its time for the Government to step up and twin 63 and also develop harsher penalties to those that are jackass's on the road. Leave 10 minutes earlier idiots. We all know you are reading all these comments. Is getting to where you need to be 10 minutes earlier worth it??? Bless all of you who live and travel those roads. Well said Thersea. Thank you for articulating the feelings and frustration of so many - residents and commuters. Therefore; we must be very vocal and leave no doubt in our leaders' minds as to what our expectations and priorities are. Again, I echo your sentiment and encourage everyone to not only contact the Premier's office but also your MLA. It is time we are heard. Raise your voice!!!!!! AMAZING letter and there are so many people that stand behind this cause. So tragic that loss of human life verses disruption of a caribou migration route... Did the caribou vote in this gov,t ? Very well written indeed Theresa. This has really hit me hard as I had a close call last weekend by some impatient driver passing when not safe and me having to slow and pull to the right to avoid him. Its truly fate that we werent killed. Tragedies like this will continue to happen until the road is twinned. That needs to be the biggest priority right now. We all need to keep this subject in the public eye right now. Pressure the government. Write your MLA's. Use Social Media and news media. Anything to keep this debate going and action to be taken. I will throw this out there and excuse the insensitivity at this time. I would suggest that a law firm take a class action law suit out against the government for failing to deliver on a promise and ultimately causing unnecessary loss of life. This may prove fruitless I really don't know but it would definitely keep it in the public eye. Thoughts??? It saddens me to hear of another preventable accident... If the province had twinned the highway when they were supposed to the 7 lives lost in this accident may still be here... The families that are suffering from this event are suffering. What is it going to take for this to NEVER happen again??? When is enough going to be enough? How many more parents, siblings, families have suffer from this kind of heartache? I used to live in Fort McMurray, and I very seldom drove to Edmonton because I never felt safe on Highway 63.There needs to be something done. I have never heard of an accident this horrific. Please Alberta, do the right thing and prevent the lose of anymore on that highway... Its time to step up to the plate and make the right choice, decision, and commitment to protect the people of Alberta that travel this highway on a regular basis. Well said. I could hardly read the end of your letter. You brought tears to my eyes. Both my daughters lived in Fort McMurray for a time. Bring back the rail roads too while ur at it. Never mind these stupid transport vehicles takin up, and wreaking out road!!! The. Crap that's goes on that road is waaaay to large! Its ridicules! So my sugestion is twin the highway to help save LIVES! As well bring back the railway system to save our ROADS! I agree with bringing back the railway system not only for tranportation of supplies but a passenger/commuter train -- Edmonton/Fort McMurray ... I for one would definitely take the train. My husband and I lived in Fort McMurray for a year, we left in 2006 and they had just started cutting for the twinning of the highway. I cannot believe the little progress that has been made. It doesn't take many trips on Highway 63 to realize that it is nothing less than a death trap. The citizens of Fort McMurray deserve much better than that. This is gross negligence and injustice. And now more heartbreak that will never be repaired. It is just too much. Come on government of Alberta. Wake up! Have the decency to act on this twinning - NOW! Thank you for expressing so well what many of us feel. As of May 4 I will be in Fort McMurray for 6 years. When I came in 2006, plans were already underway for Highway 63. A friend of mine from our hometown in Newfoundland was working with a company cutting back the road right-of-way. Now 6 years later we can still only drive on 16 kms of twinned highway. Fort McMurray has been very good to me as it has been to many other Canadians as well as Alberta residents. In this time of world recession we should give thanks that we live in such a properous region of such a wonderful country. However I feel Alberta and indeed the whole country takes this region for granted. How many more lives have to be lost and the hopes and dreams of families before government of Alberta starts to give back to this region a fair share of the wealth it creates for Alberta and Canada. An outward visible sign as they say would be to do complete Highway 63 without delay and drastically reduce the waste of precious lives that this excuse of a road takes each year. Yes, people need to slow down and drive with care but a major vital highway in 2012 in the most wealthly province of Canada with almost no twinning and almost no passing lanes begs the question, why not. As the lady who started this blog asked; Premier,we are waiting for your answer!!! Perfect! Many of us are talking about lobbying the governments regarding Hwy 63!!! This letter was wrote with as much conviction and complete understanding that each and everyone of us feels!! Thank you Theresa, for I too have three daughters...and I do not want to see that same fate for anyone's children. I hope this serves as a petition and lights a fire under someone's feet! Enough is enough. You will still have the same reckless drivers. this also has to be addressed. I agree with twinning Hwy.63, it has LONG been overdue!!! What a shame that yet another 7 lives were lost because of impatience & stupidity. yes....I also wonder what happened in the last 6 years that construction has not continued on twinning this horrific hwy.??? Is it perhaps because all the money was spent on the Anthony Hendey? or perhaps on the city of CALGARY....with all their fancy over-passes & freeways??? Ft. McMurray is the heart & core of this province & Canada as a whole & yet when it comes to our highway, it is totally FORGOTTEN!!! WHY??? Is it because it's not pretty enough? Or because it is the end of the road??? I think the BIG OIL COMPANIES getting rich with our oil sands need to work with our government & get the twinning done!!! ASAP!!! This letter calls for all the answers to fixing this issue not just twinning the highway. Twinning helps but educations, enforcement, and reporting of issues is what will really solve the problem. This might be your best blog yet Lady. I love you and appreciate the passion you have for our community. THis has to be fix ,so sad that these poeple have to die ,how many more before they do something . If the government does not take immediate action to twin highway 63, just set up a road block for a couple of weeks. As soon as a economic disruption occurs, there WILL be action. Well said. I came close to losing my life on that highway. A friend and I had been to Fort MacMurray to visit her sister and we were on our way back to Edmonton. We had the passing line and from what we could see, all was clear. We were passing a slow moving "wide load" and we were about half way past when a vehicle suddenly appeared over a blind crest (a blind crest that we had no idea about and didn't see or anticipate until it was too late. In no way was the driver or ourselves at fault. We could see he was trying to make room for us, but at the legal speed on the hwy, if he pulled over to fast he would have likely flipped his vehicle. With a split second, I advised my friend who was driving to slow down and pray we can get back in behind the "wide load". Luckily, we did not panic, and it all seemed like slow motion, but that decision is what saved our lives. We made it back in behind the wide load with just seconds to spare. We were in no way being reckless and had waited for a passing lane before we tried to pass. This hwy is dangerous with all the big trucks using it as well as passenger vehicles. How many more people need to die before they twin it? Seven more dead. My stomach turns and my heart aches, we live in fear of that highway. The empty promises and agonizing pace of improvements, or none at all, make me angry enough to write this. It's not the drivers fault, they didn't create the monster; everyone gets frustrated when held up by a line of fifty cars behind a slow vehicle. Put five thousand people to work if you have to but get that highway twinned to Edmonton this summer! I wish I knew how to share the January 30 reply from Transportation Minister Ray Danyluk (on behalf of our premier) that I received. I was compelled to email many ministers (and the premier) at their GOA offices and their constituency offices after yet another child of ours was lost on that highway on New Year's Eve. The letter clearly states the goal to 2013 - another 36 kms paved. 63 twinning isn't happening anytime soon. I encourage everyone to pick up their pens/dust off the keyboard and email/write to the ministers responsible for infrastructure, transportation, etc. Without constant public pressure our rural region will not see the highway upgraded. And yes, GOA & feds view the Fort McMurray area as rural(as an example see what one federal minister spouted about our region! : http://www.cbc.ca/news/politics/inside-politics-blog/2011/09/the-uninhabitability-of-the-oil-sands-forests.html). Well written! We agree 100%. If my husband hadn't started his new job this week, he would have been there at the time of the accident...it could have been him. We dont need to lose any more lives, something must be done now! Well said. This region contributes so much to the the rest of Alberta and the rest of Canada and yet we wait years for action. Its an absolute disgrace. How many roads across this country have been built using tax dollars and royalties from the oil sands? Whatever that number is its greater than the number that have been built to provide service to the people who are generating those taxes and royalties. Thanks Theresa for writing what so many of us truly feel, I am a long time resident of Fort McMurray (35 years), it breaks my heart knowing that highway 63 has taken more lives, I travel the road only a few times each year and I pray each and every time we travel for a safe return. I think of how many people come to Fort McMurray to live and raise a family or many that commute to support a family in Alberta or another province...... It is time for our voices to be heard, stand up people of Wood Buffalo and demand our Government to take action, we all want it .... Enough is Enough!!!!!!! Marianna Lakes and Wandering River usually have the worst weather on our trip to and from Fort Mcmurray. If there is one place I would like to see this highway 63 twinned first it is on this stretch of highway. Creating passing lanes along this stretch of highway will not eliminate accidents but will certainly reduce them. I would like you also to look at what days are the worst for accidents. I understand Thursday/Friday and Sunday are the worst days from our perspective as we will not travel on those days if at all possible. Who travels most on those days? 9 to 5's, shift changes, contractors? Is it also because of poor access to good shopping for more than just basics? What can your government do to help make the oil sands a less dangerous place to travel to for over 100,000 people? Amazing Letter and well spoken. My family along with my in-laws lived in McMurray for a few years back in 2005. There were many a time where we traveled Hwy 63 between Edmonton and 'the Mac'. We've seen our share of dangerous drivers and smart ones as well. Just before I found out I was pregnant with our first child (she's 7 now), my husband and I were involved in a rollover just outside of Grasslands in mid-february. Police said I was not supposed to walk away from that accident. So when I heard about yesterday's accident and the 7 souls that perished, I was reminded of that day in February. To the people of Wood Buffalo - PLEASE slow down and take care on the highway. Getting home or to work just a bit quicker is NOT worth someone else losing their life. To the Alberta Government - The senseless deaths on this highway NEEDS TO STOP! Please Premier Redford, you must do what you have to and twin highway 63...for everyone's safety. To hear this news is almost unbearable... more deaths on Highway 63. We lived in Fort McMurray for over 20 years amd loved living in the community but as the prosperity of the community grew, the infrastructure did not, we chose to move south. I dreaded driving Highway 63 and we drove out at least once a month. Our last trip back as we were relocating, we narrowly mised being in a collision. We had one more trip to make and I insisted we fly becaue I could not handle taking the chance on that Highway. Immedaite action must be taken. The personal price the families who reside in Fort McMurray region and familes across Canada who have family members living and working in the region, the price they are paying is unacceptable. The twinning of this highway needs to be accelerated and be a top infrastructure priority for the province. Well said!!!! Awesome job writing this letter!!!!!! Although I strongly support the twinning of 63 I have difficulty blaming the highway for bad drivers. People driving to and from ft.Mac need to take responsilbility for their driving to ensure the safety of everyone on the road. In my 20 plus years living in Ft.Mac I travelled 63 often in all kinds of conditions and never once did I have and accident; in the late 70's and early eighties that road was much worse, narrower and without even shoulders; yet we all managed to get to and from without killing people. I realize its much busier there now and more traffic demands that 63 be twinned but lets not forget that ultimately the responsibility lies with those that travel 63 to drive safely and with respect and patience. I hope the PC's get it done for you all, but it has been 20 years of promises so don't hold your breath. PC Party - Twin the *ucking highway! To any politician who tries to divert this matter to targeting the stupid drivers on Highway 63, I support that, but you won`t get them all (not even close), and when they push the envelope one time too many, it is those of us that obey the traffic laws that become victims too! Get on with twinning 63! Well said and well supported. It was time to twin the highway 20 years ago. The PC's continue to make this a political issue in order to control our resources. They haven't been interested in the human factor since the very first fatality or they would have completed the highway already. Hoping your plea gets this done once and for all. The accident has affected not only Fort McMurray, it affects people across the country, as i'm writing this in Newfoundland, i hope they twin the highway so my family can stay safe. Tragedies like this shouldn't happen. Great letter! Let's make it happen! Twin the Highway! You have used your words wisely. Thank you for doing this on behalf of Fort McMurray. I am 23 and have had two not at fault accidents on that highway in the last 5 years I have been licensed to drive. All due to ignorant drivers. My life has been on the line on that highway too many times. Time to change Redford, heres your chance to shine to the northern community that makes the big bucks. I remember when Highway 16 from Edmonton to Jasper was a death road and it wasn't until MLA Mr. Len Werry was killed on it that the road was twinned. It would be horrific to suggest that it will take until someone with public recognition be killed on Highway 63 for the government to take action. Action being what our newly elected premier has promised. If I recall, Past Premier Ralph Klein made it a promise shortly before he stepped down. We live in fear every time someone we know and love travels that death road. It is my hopes that Premier Allison Redford actually sees and reads the pleas for action and will respond back so we the citizens of Fort McMurray know that our voices have been heard. We not only speak for the living but speak for all those who can speak no more. My prayers go out to all the families who have lost a precious loved one on that dreadful highway ~~ and my wish is that the citizens of Fort McMurray be heard and immediate action be taken now --- make 63 a safe highway so we do not loose one more. Postponing, delaying, avoiding action can lead to accidental Death ~~ the time is now ~~ our life in this matter is in your hands. Please handle with care! Thanks Theresa for this much needed latter on behalf of our community. I lost a friend on the highways last year. Ivan was a young father and his life shouldn't have ended so early. It is a tragedy and today I feel for those families and friends of the 7 that died in yesterday's collision and I pray for the 2 that are currently fighting for their lives. If the highway was twinned these accident likely would not have happened. I fear every time I or someone I love drives that highway to Edmonton. That should not be a typical emotion I feel when getting away for whats supposed to be a fun long weekend. So many people work in Fort McMurray commute to other communities to be with their families on a regular basis. I hope Premier Redford, who I voted for, speeds the twinning up in order to make the numerous Canadians that use this highway every day safer. I also want to see a committed date for the twinning of Hwy 63 from the party I helped elect NOW. Wonderfully said! I always said that 63 needed to be twined from the start of when I moved to fort Mcmurray! When I heard of the 'horrific' accident that killed 7 people and still 2 in hospital I was deficstated! This needs to be definitely top priority! Let's pray to god that something gets started and completed soon, cause this has definitely been ENOUGH!!! Thank you for your letter. I have been in Fort Mac 10 years and have been granted many opportunities I will never regret. I used to think the question of leaving Fort Mac was an "if" - now I think it's a "when". Every time I go to visit my friends and family in Edmonton, go on a vacation and need to take my dog to a kennel, need to purchase something that I can't get in For McMurray...I take my life in my hands, more so than those that travel on other highways. And now, as I prepare for children I have to ask myself whether or not I will risk their lives in this way as well....if and when I leave Fort McMurray, highway 63 will be the number 1 reason I do. I lived in Fort McMurray for 23 years. I am now retired living in my home province NB. I miss Fort McMurray, I miss the good people of Fort McMurray but I don't miss Hwy 63.Behind you all the way TWIN HIGHWAY 63 PLEASE. For the families that have to drive this highway and hear of these accidents over and over again, it is a shameful disappointment to see the work that has not moved an inch in over a year despite the promises. This story isn't new, it has repeated itself over and over in the 5 years i have lived here. Yes drivers need to be responsible, but at the end of the day, when people are stuck behind a convoy of 7 oversized loads in a row travelling at 50KM/hr patience is a virtue that most people will run out of and take these risks. I've seen it over and over again. There is too much traffic, too many large loads and not enough space for everyone to travel safely even at the best of conditions. If the sea-to-sky highway can blast through rockfaces and eco sensitive areas and make that highway much safer in just a couple years, there is no reason why ALberta shouldn't have this long straight road twinned by now. I have driven 63 all my life. Family vacations, Hockey trips, Doctors appointments the list is endless. Even worked on it with Alberta Transportation and later as a emergency response provider. Not until I started my own family did I realize I did not want my family travelling on a highway that was never going to be twined. Highway 63 is a big reason I left the region and found work elsewhere. Prayers go out to the family members who lost love once yesterday. We took a road trip from Northern Ontario to Fort Mac July 2011 to visit our son & daughter-in-law. Our son specifically told us to stay off HWY 63 and gave us directions up thru Lloydminster, Cold Lake & Lac La Biche and what a scenic drive it was! We weren't fighting with heavy traffic or those "loose cannon" drivers who feel the need to pass on every hill and curve. They don't realize that they actually don't get where they are going that much sooner than the guys they passed - all the while forgetting the rules of the road. I agree, twinning the highway may not stop all accidents but it will sure save a few lives and a lot of close calls. I lived in Fort McMurray and every time we traveled on hwy 63, I would pray to God he would keep us safe. The process of twinning this stretch is taking way too long and way to many lives are being lost. If people didn't have to stay behind wide loads, etc. for such long periods they wouldn't be attempting to pass in unsafe conditions, but traveling at low speeds when you have a job or family to get to sometimes becomes trying on ones patience. At least if there were double lanes in each direction it would be much easier and safer to pass traffic without having to go into oncoming traffic. It is tragic that so many lives have been taken away and yet nothing seems to get done. It is time for the province of Alberta to take some time and put some money out there to get this highway completed. I hope no more lives will be taken on this hwy, time for everyone to keep writing, calling, emailing whatever it takes we all need to do our part because no matter where you live everyone knows people who travel this highway and we all hate knowing our family and friends have to use this hwy to leave town. Twinning the highway will not eliminate peoples stupidity when it comes to driving behaviors. Outstanding letter and obviously this is on the minds of many. How can we take this sentiment and make sure it's not lost? News comes and news goes and unless this issue has legs, it may be forgotten and we again be complacent. How can we make the Government take notice that we have had enough ? It would make more sense to build one rail line along the highway for heavy loads (that ruin the road), one high speed bullet train for passengers and one line for heavy crude.